Products containing probiotics have been in the markets for quite a while. As people tend to seek more natural ways to maintain their good health, manufacturers have started offering probiotics in everything, from yogurt to chocolates. Products containing probiotics have been in the markets for quite a while. As people tend to seek more natural ways to maintain their good health, manufacturers have started offering probiotics in everything, from yogurt to chocolates. Probiotics are living microorganisms that are added to foods and food products, which are beneficial to one’s health. Mostly, these probiotics contain bacteria, but they may also contain certain other microorganisms like yeasts. The bacteria added mostly resemble the good bacteria that are present in the gastrointestinal tract of a person. Probiotics help in maintaining one’s overall health and digestion. 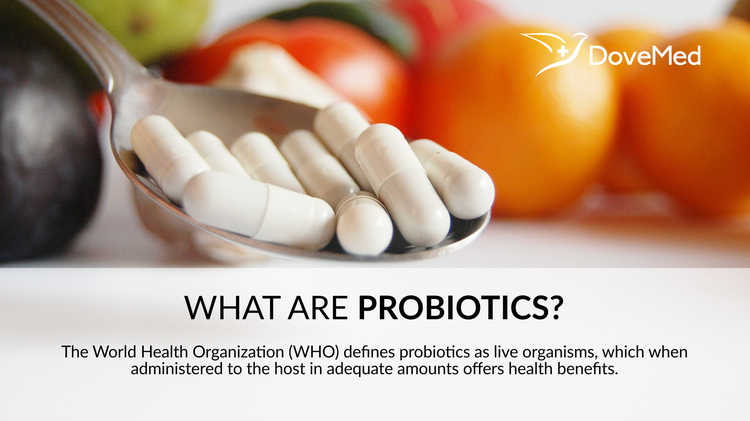 The World Health Organization (WHO) defines probiotics as live organisms, which when administered to the host in adequate amounts offers health benefits. The most widely used probiotic bacteria come from two classes, namely Lactobacillus and Bifidobacterium. It is important to note that there many bacteria that are classified as probiotics. Such groups of bacteria consist of different species that have varied strains. These strains have different health benefits for each part of the body. For instance, it is scientifically noted that Lactobacillus casei Shirota has shown to support the immune system and help food to move through the gut. On the other hand, Lactobacillus bulgaricus is a type of probiotic that helps relieve symptoms of lactose intolerance, a condition where people cannot digest the lactose found in milk and other dairy products. The common health benefits of the probiotics include prevention of gastrointestinal illnesses, helping boost one’s immunity levels, and preventing or slowing the further development of certain types of cancer. Researchers at the Baylor College of Medicine and M.D. Anderson Cancer Center studied the benefits of Lactobacillus reuteri ATCC PTA 6475. Through this study, it was proven that this type of probiotic helped slow the growth of certain types of cancerous tumors. The study researched the molecular mechanisms of the effect of the probiotics on the human myeloid leukemia-derived cells. The researchers at Virginia Polytechnic Institute and Ohio State University conducted a study on the benefits of Lactobacillus acidophilus. It was found that L. acidophilus enhanced the immunity power that is offered by vaccines prepared from the weakened live virus (that causes human rotavirus infection). A rotavirus infection is one of the most common causes of severely dehydrating diarrhea in infants and children. The study reports said that the tests on newborn pigs found that when the animal is given both vaccine and a probiotic, they had better immune response, rather than when the animals were only given the vaccine. Some probiotics like Saccharomyces boulardii, yeast, and bacteria belonging to Lactobacillus and Bifobacterium family are found in the intestines of a person. Many food products contain probiotics and these include yoghurt, soy drink, some types of juices, fermented and unfermented milk, buttermilk, pickles, some varieties of soft cheese and many other. Apart from the naturally found probiotic in the foods, there are some that are made as supplements. These are available in the forms of capsules, tablets, powder and liquid extracts. Each of these classes contains a specific type of probiotic. Finally, though intake of probiotics is considered safe, it is still recommended that you take the advice of a physician before commencing using these, especially if you have specific health conditions. Fioramonti, J., Theodorou, V., & Bueno, L. (2003). Probiotics: what are they? What are their effects on gut physiology?. Best Practice & Research Clinical Gastroenterology, 17(5), 711-724. Reid, G. (2006). Safe and efficacious probiotics: what are they?. TRENDS in Microbiology, 14(8), 348-352. Walji, R. (2006). What are Probiotics?. About: Alternative Medicine, 1. Thantsha, M. S., Mamvura, C. I., & Booyens, J. (2012). Probiotics-What They Are, Their Benefits and Challenges. In New Advances in the Basic and Clinical Gastroenterology. InTech. Butel, M. J., & Waligora‐Dupriet, A. J. (2016). Probiotics and prebiotics: what are they and what can they do for us?. The Human Microbiota and Chronic Disease: Dysbiosis as a Cause of Human Pathology, 467. Boersma, W. J. A. (2003). What are probiotics? Attempts to functional definition of probiotics to improve credibility of probiotics in support of animal health. Ringel, Y. (2011). What are Probiotics and Do They Work in IBS. Curbside Consultation in IBS, 49, 213-215. Huffmon, G. M. (1997). Just what are probiotics?. Small farm today (USA). Stibich, M. What are probiotics and should i take them?[Internet]. Washington: Medical Review Board; c. 2001-2013. [actualizada 5 de Ago 2010; citado 29 Sep 2013][aprox. 2 pantallas].